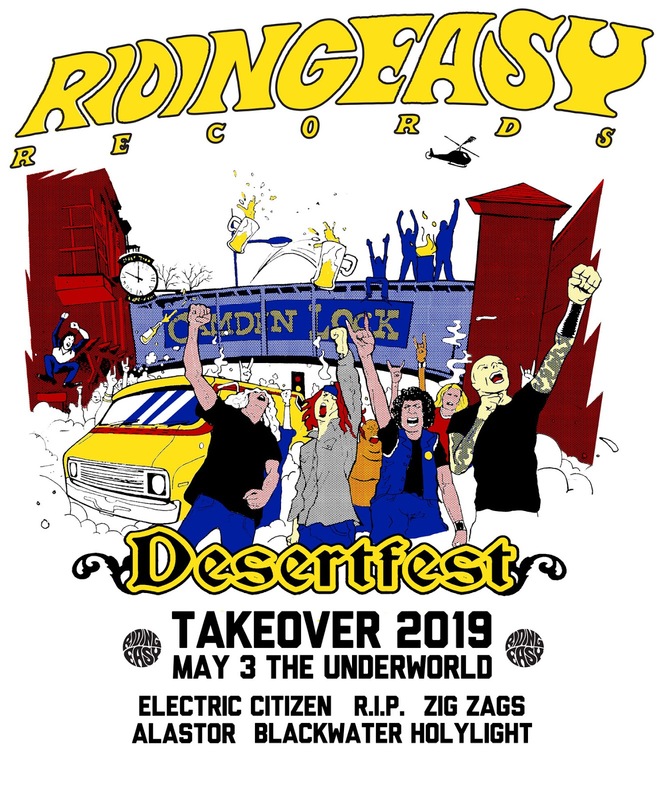 RidingEasy Records announces a stage takeover at DesertFest London on Friday, May 3rd, featuring sets by Electric Citizen, Blackwater HolyLight, R.I.P., Zig-Zags and Alastor at the Underworld. 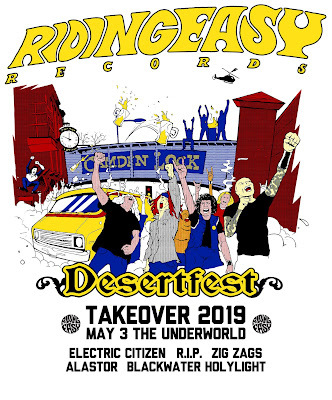 The takeover comes hot on the heels of the SoCal label's inaugural Psycho Smokeout festival on 4/20 in Los Angeles, which features RidingEasy mainstays Monolord, Electric Citizen, Here Lies Man, R.I.P., Zig-Zags, Hell Fire, Mick's Jaguar and Blackwater Holylight. RidingEasy bands will criss-cross highways all across the U.S., UK and EU on tour surrounding these events, including DesertFest NYC, DesertFest Berlin and Esbjerg Fuzztival in Denmark. Please see current dates below.